My first watch was an heirloom from my grandfather and all watches have suffered in comparison. Until now. Having confined my grandfather’s watch to the display cupboard for safety, decades ago, I have owned only four watches, buying two myself and receiving the other two as (mostly unworn) gifts, including most recently an offering from the fashion brand Hugo Boss watches. When I saw the Blancpain Villeret, however, I knew I had to have it. I cannot remember the last time I saw such a masterfully crafted and well balanced watch. Blancpain have obviously gone to great lengths to ensure that every single detail of the Villeret Chrono is as well thought out as the others. The 40mm case is made from glorious 18k rose gold, which balances beautifully with the silver dial and cream face. The rose gold deployment buckle and caseback are also made of rose gold, which and the overall effect is one of pure class, well complimented by the rustic and earthy feel of the crocodile brown leather band. The watch isn’t just a pretty sight. It also comes equipped with all the most important modern features, too. It has automatic movement and is water resistant up to 99 feet (30 metres), so there’s no need to worry if you forget to take it off at bath-time. The sapphire glass, whilst also looking great, is also an incredibly strong, scratch-resistant crystal, so you need have no fear over the watch’s durability. but the Villeret is the finest example of their work I’ve ever seen. They tend not to overcrowd their watches with unnecessary features and combine hardiness with elegant features and the Villeret Chrono is no exception. 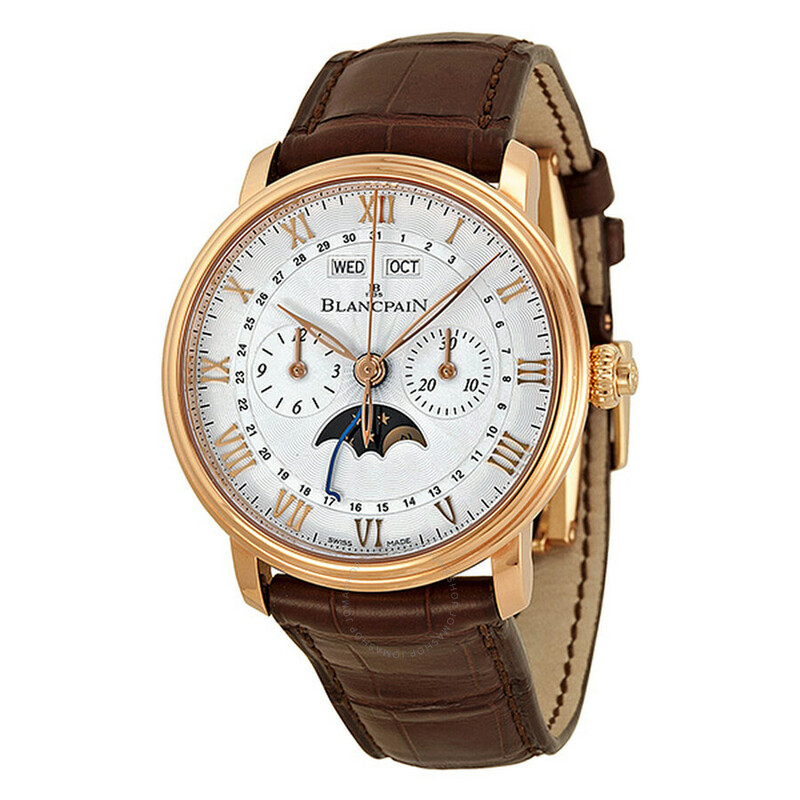 The face is easy to read, with thin and delicate hands, while the Roman numerals dial adds a sense of history to an otherwise completely modern timepiece. I have had the watch for a while now and it has run without complication from the moment I bought it. It also looks superb on the wrist, so, if you’re thinking of buying a watch, I recommend you pay considerable attention to the Villeret option. Who knows, I may even buy this is a gift for someone myself, though I hope it’s won far more than the watches I have been bought myself.